Indian economy is booming and no one can deny the fact that the Modified India has in store a lot for people who seek to have better employment opportunities from almost all Indian cities, big and small. Apart from this, increased FDIs have also brightened up the chance of private and public sector in the country. Let us see and analyze the sectors that are growing and are expected to offer better job prospects for individuals having varied professional experience. A recent survey conducted by global consultancy firm Ernst & Young (E&Y) has revealed that India has become one of the world’s most attractive destinations for foreign investments. Global nations are now showing keen interest in moving their direct investments into India and its different industrial sectors. Apart from this, government of India is also directing its initiatives for opening doors to more and more international investments and emerging economies to associate and contribute towards growing India Inc, predominantly the private sector. The industry insiders say that the performance of Information Technology is likely to take a big leap in the year 2014-15. According to experts, IT sector is likely to grow by whopping 15% and the growth is expected to broad based; coming in from all the verticals. Moreover, the sector is anticipating contribution from almost all geographies and service lines and the reason behind this is increased outsourcing activities and FDIs. The IT jobs in India are on a roll these days and future looks even brighter with some of the major Indian IT hubs like Bangalore and Hyderabad brimming with excellent opportunities. A recent analysis done by NASSCOM reveals that India is counted amongst few nations that is witnessing global companies collaborating and coming in for expanding their offerings to project India as the biggest hub for IT projects. 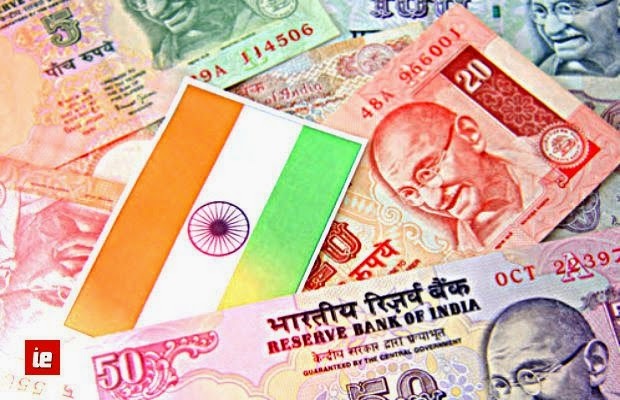 The World Bank says that the Banking sector in India is likely to witness a growth of good percentage owing to increased FDIs and international banks willing to open their branches in here. Moreover, the government is also strategizing to revise earlier initiatives and incorporate the idea of social inclusion in order to increase the reach of services to unbanked population. Apart from this, already stationed foreign banks in various Indian cities are now approaching for acquiring local incorporation to get near-national stature. The Indian employment market will be replete with bank jobs in both private and public sector. The openings will be on both clerical as well as managerial level and the best cities to go for such jobs can Delhi/NCR region, Mumbai and few semi-rural areas for securing position in public banks. Automobile Industry is one Indian industrial sector that has been through a lot of ups and downs and still managed to bounce back at its own steep rate. The first quarter of 2014 saw a major decline in vehicle and auto component sales figure. The recent budget 2014 and the formation of new government has planned initiatives to make up an environment that is conducive for growth and reviving the automotive sector. Therefore, a lot of jobs in the Automobile industry is expected and that too for executives at all the levels. Construction and Real Estate sector has grown at a good gradual pace. With growing partnership with global nations for businesses, collaboration with sports fraternity of different countries and increased Foreign Direct Investments to elevate the performance of private sector are some of the reasons that has boosted the activity of the industry. Another aspect is the high migration rate in India and this has actually increased Real Estate activities; especially commissioning of residential projects. Main areas are where one can find high-paying jobs in Real Estate are Delhi, Bangalore and Mumbai, to name a few. Therefore, it can be easily said that Real Estate and the construction industry will never lose sheen and will always be able to offer nicely paid jobs to engineers, designers who plan to make their career in the sector. Manufacturing industry has risen from the ashes and has turned into something which can’t be unmatched in any way. Indian economy is flourishing at the moment and will only be brimming with growth owing to foreseen positive political impact and more FDIs. Moreover, per capita income in Indian industrial sector is also on a roll; therefore, leisure requirement of individuals are also increasing. Therefore, a need of bikes, cars and other high-end vehicles has pushed the growth of manufacturing industry especially focused on fabricating vehicles. Engineers and craftsmen who are looking out for jobs in the niche domain can now left assured of grabbing a high-paying job. India is a country that is a known on a global platform owing to its highly productive lands, crops and fine quality edible items. The nation has strong export relations with USA and EU for delivery of quality spices and crop outputs. Therefore, it is important that the storage and processing of the agro products remains excellent and this has actually created a demand of qualified and knowledgeable professionals in the industry. The need of the hour is to club technology with traditional methods of maintaining farms and fields. Agriculture industry is set on a booming path and is expected to create a lot of opportunities for professionals and aspirants. The World Bank says that Indian economy is on a rise and the new political setting has plans that can elevate the growth rate. Therefore, one can easily expect a rippling employment market that has in store good pay scales and prospects for both experienced and fresh graduates. Moreover, there are places in India, dominantly metropolitan that are growing even bigger and are replete with golden opportunities. Vineeta is a professional writer and blogger who has keen interest in emerging economies and their effect on the job market. 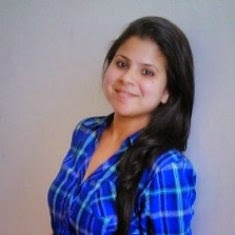 She has written a range of career guides and related articles for job portals and news websites.